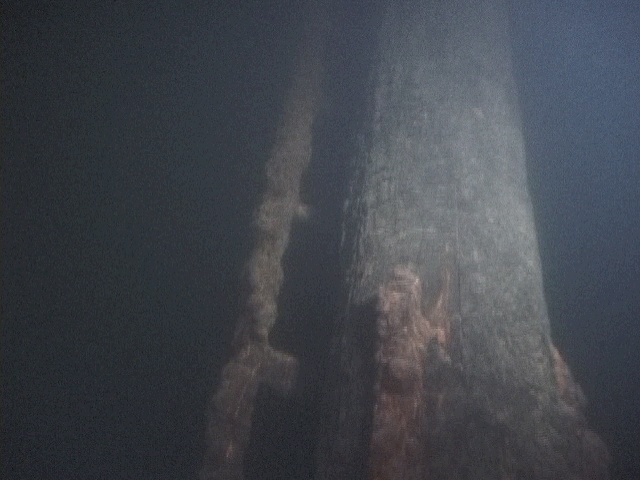 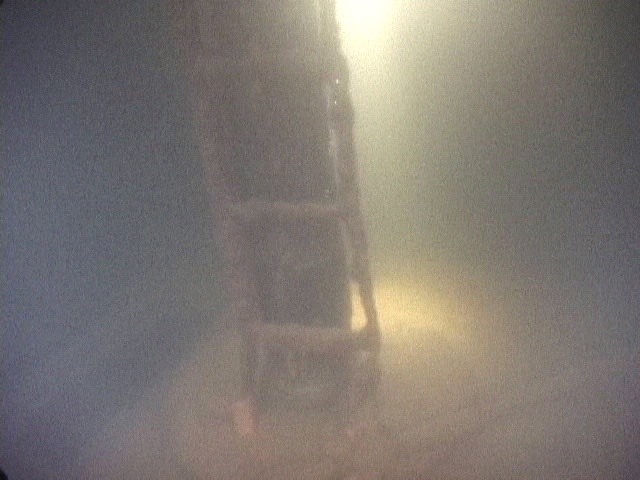 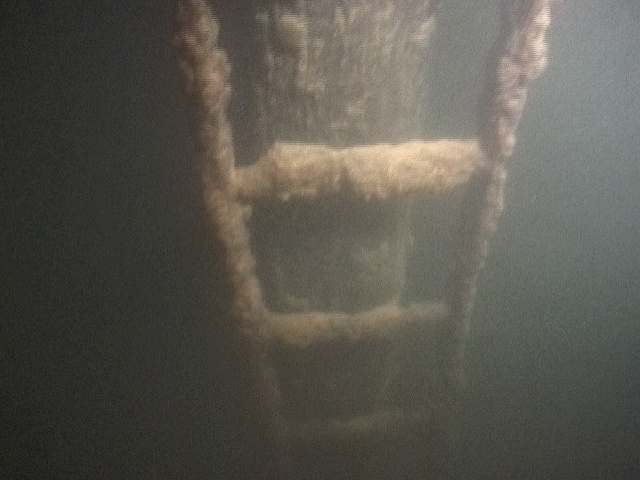 This wooden shipwreck sits upright on the bottom. 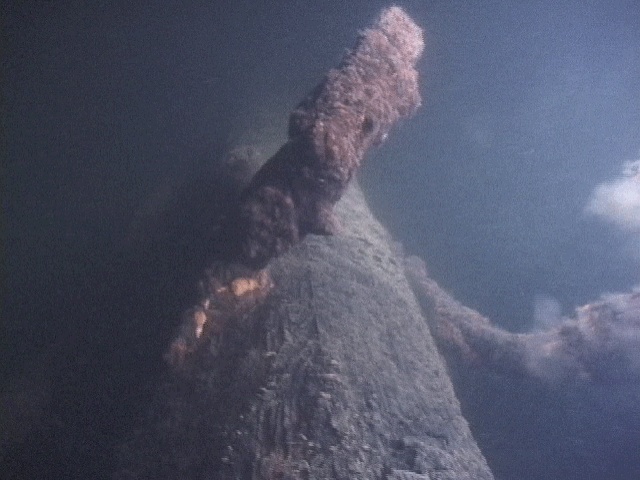 It is 136 feet long, with a beam of approximately 25 feet. 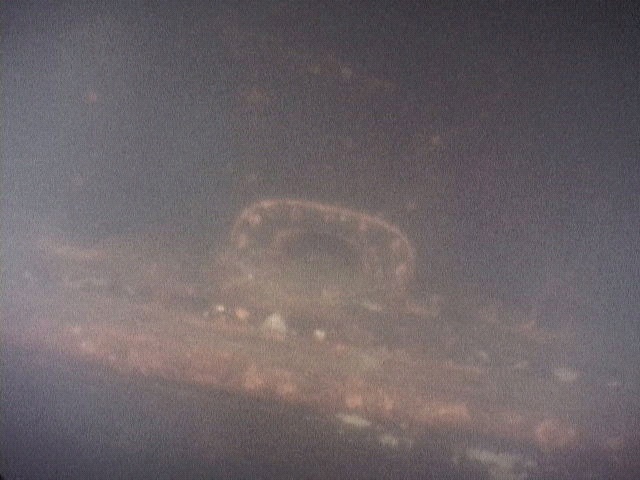 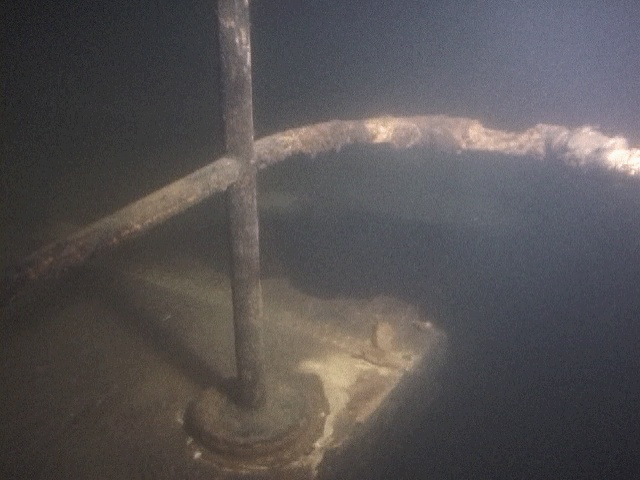 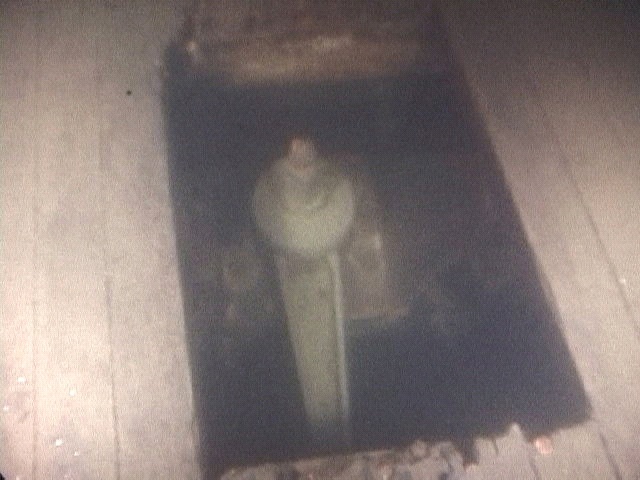 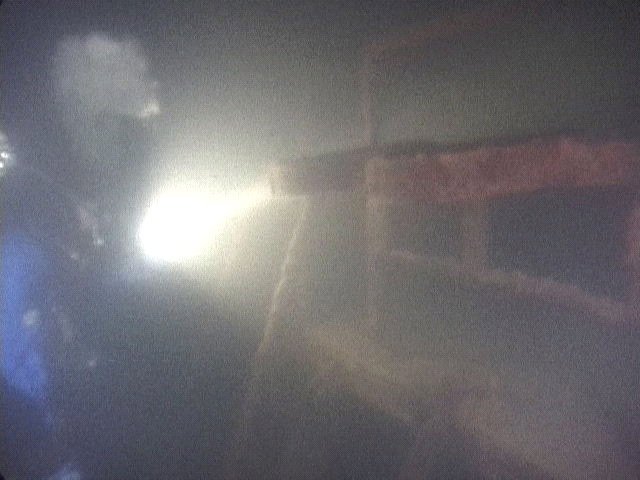 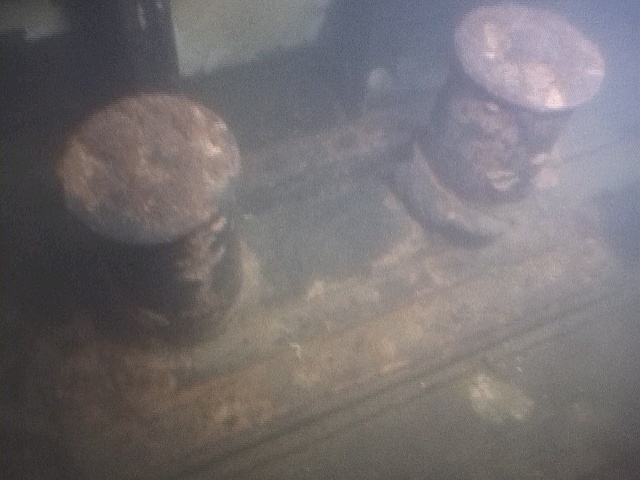 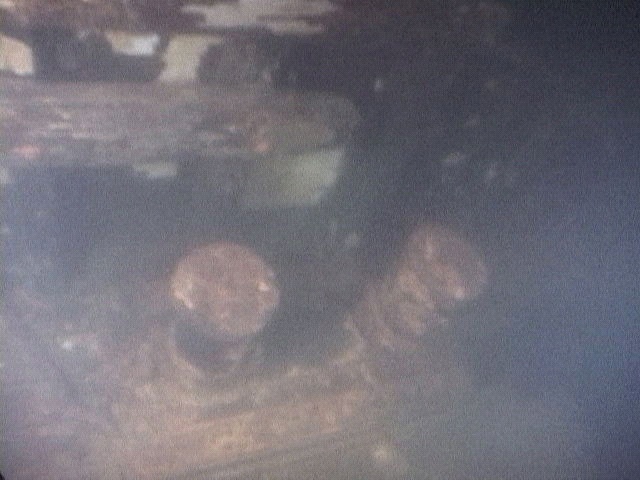 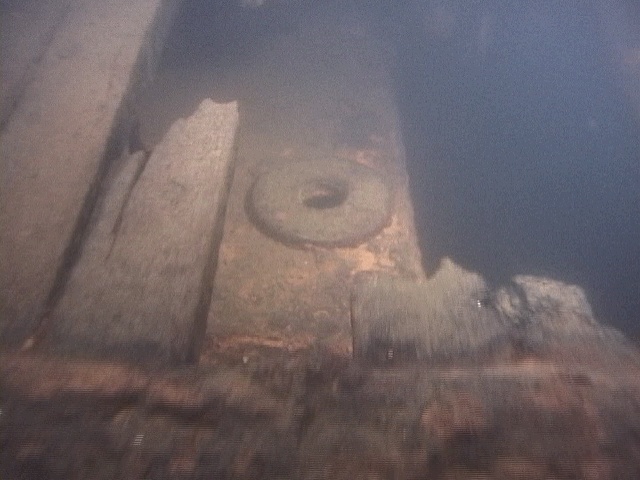 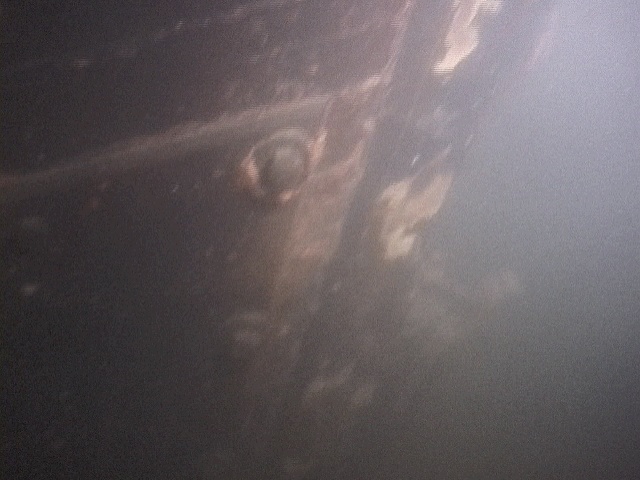 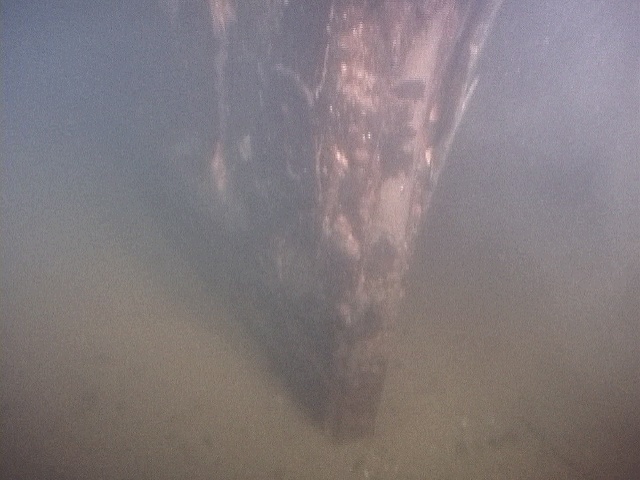 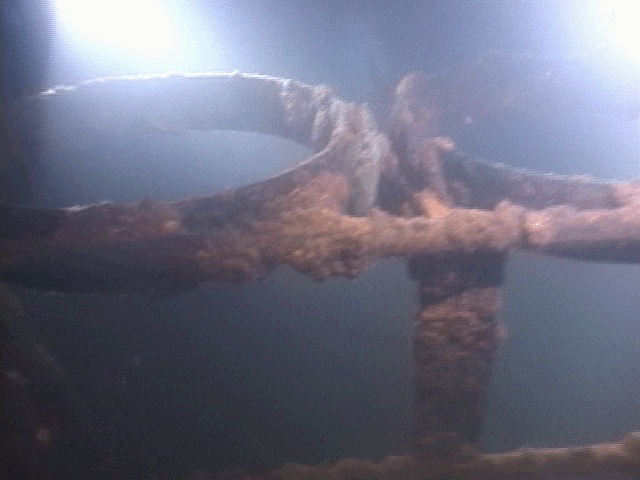 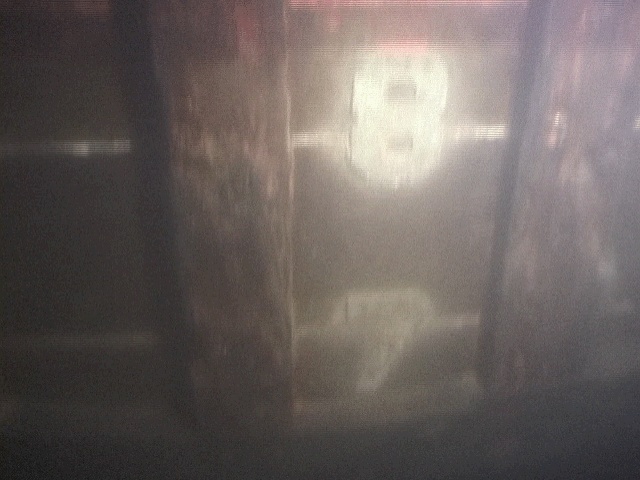 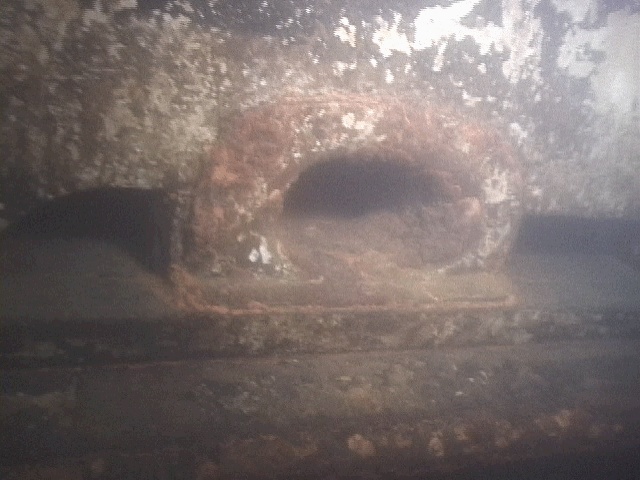 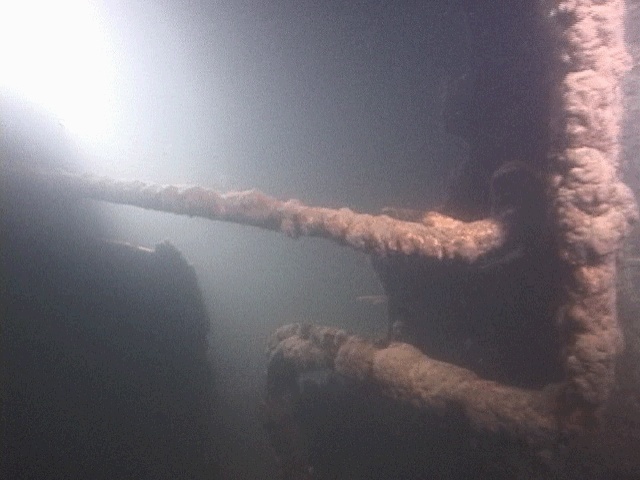 The wooden hull is well preserved in the fresh water. 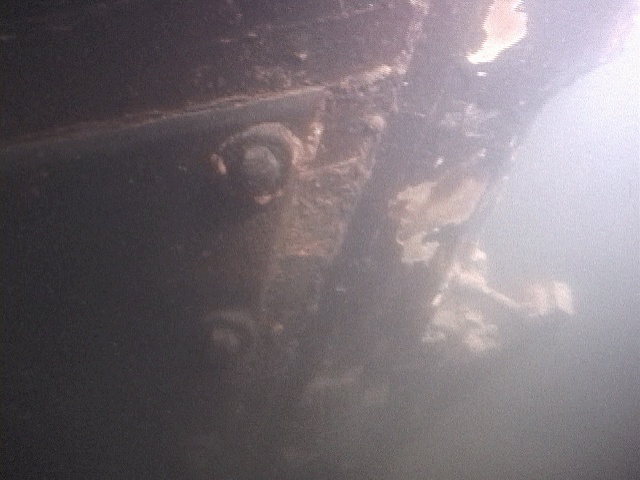 The stern area is intact and contains fuel tanks and dual screws and rudders. 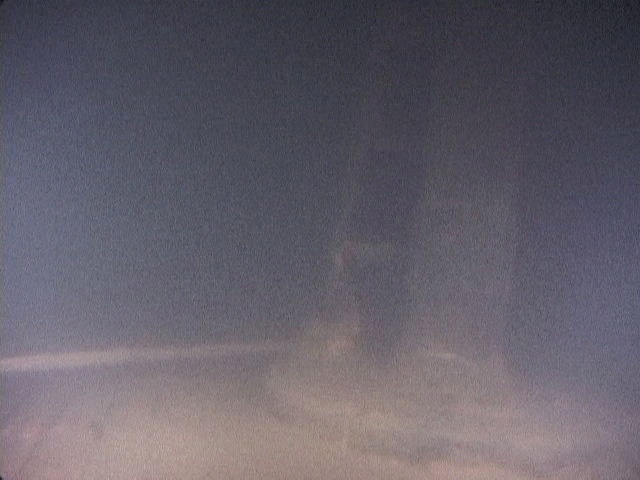 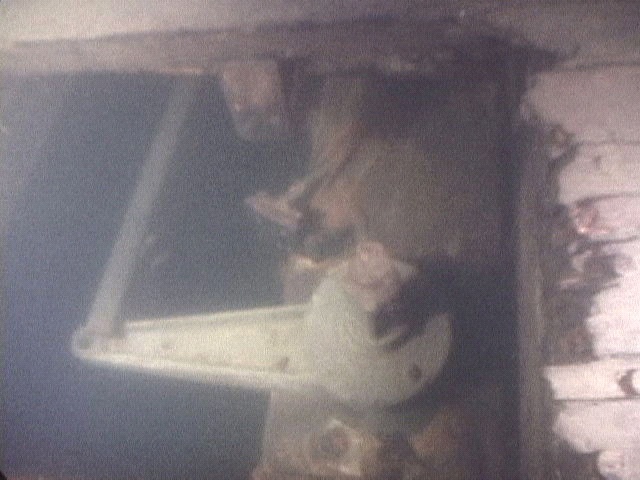 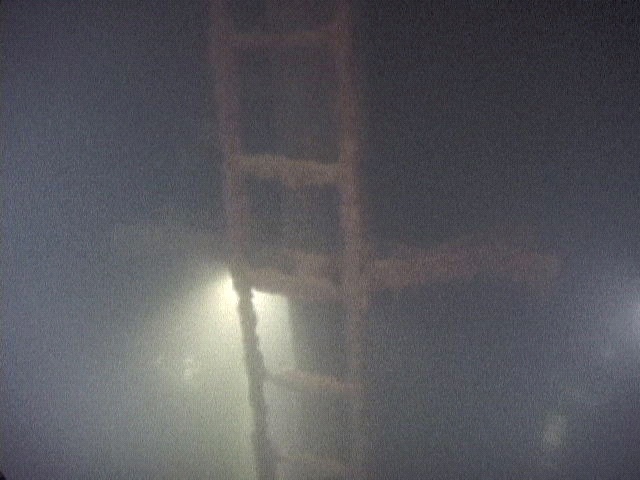 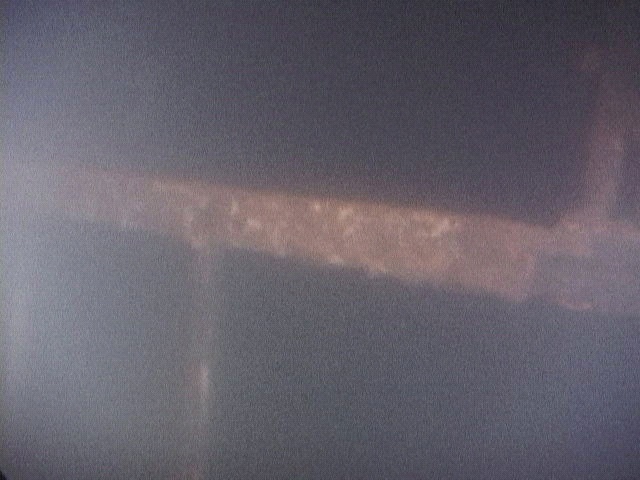 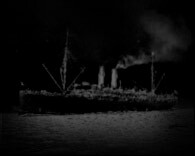 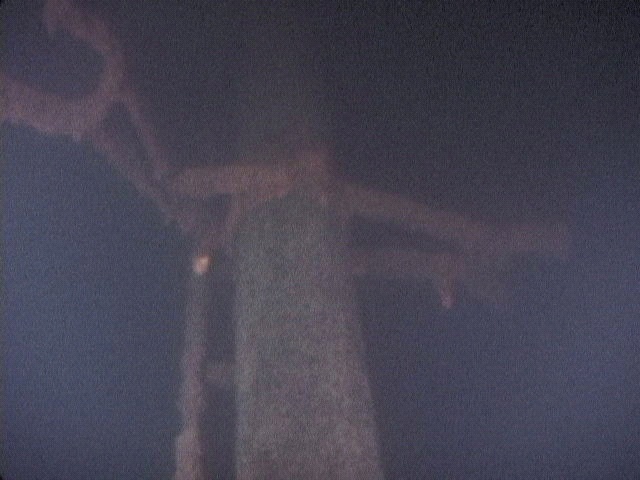 The engine room and forward sections of the ship are badly burned. 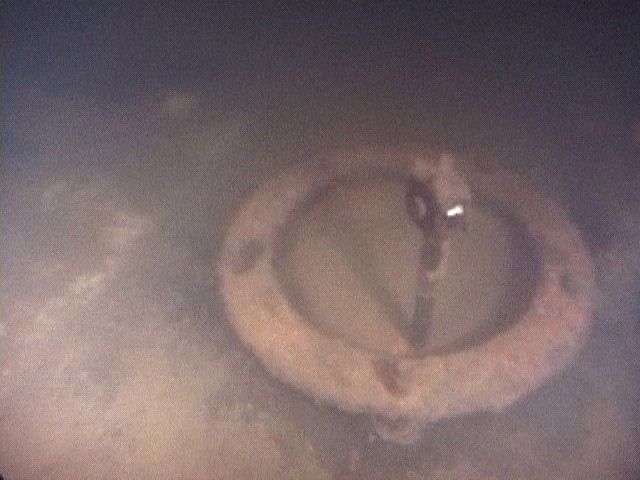 Fire was presumably the cause of the loss of this vessel. 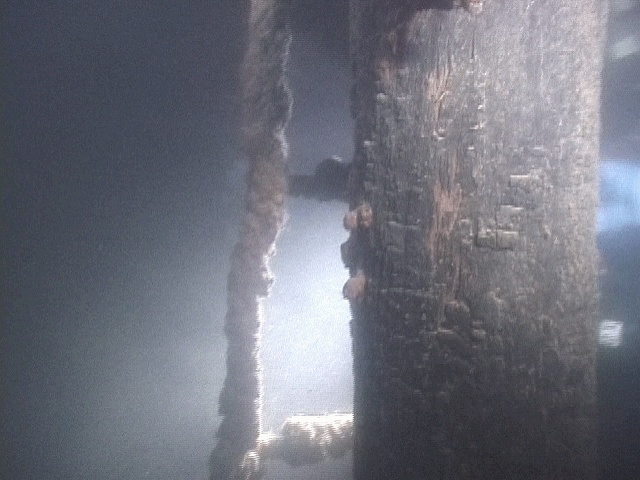 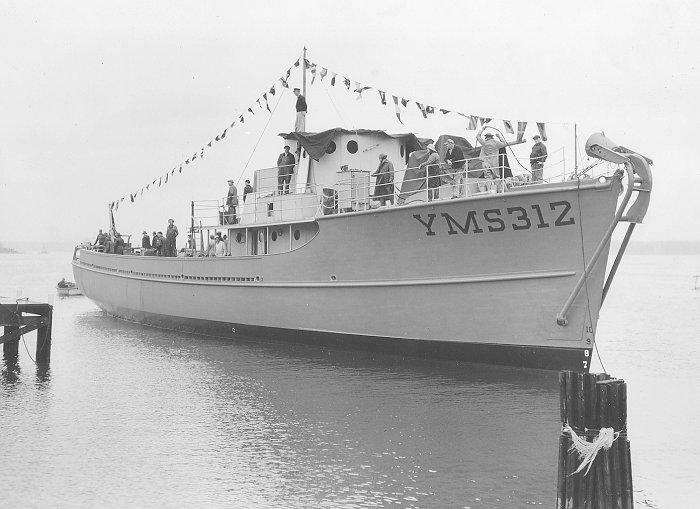 The name of the ship is not visible on the stern or other exterior parts of the hull. 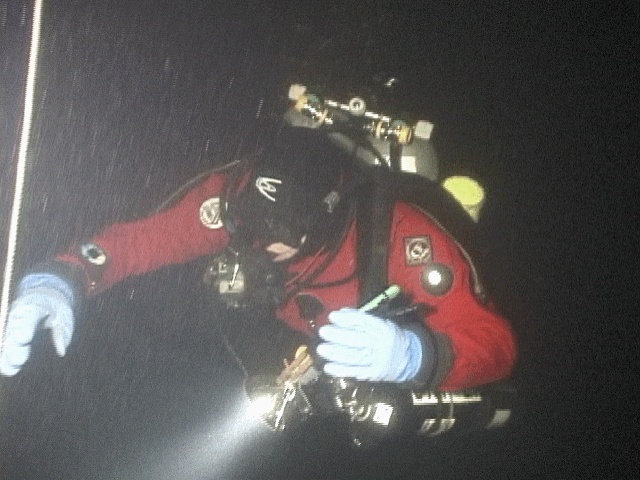 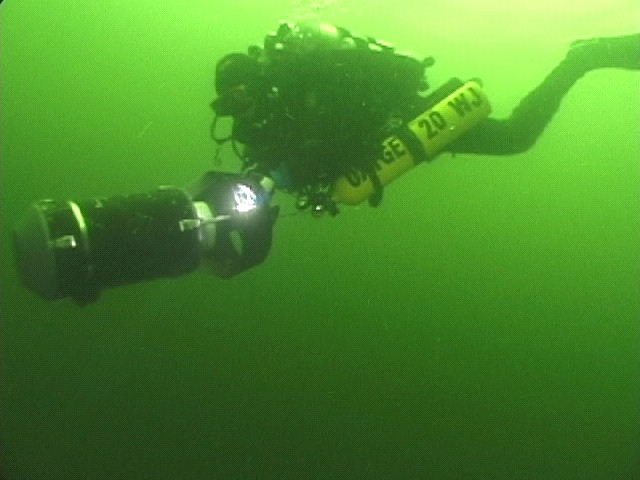 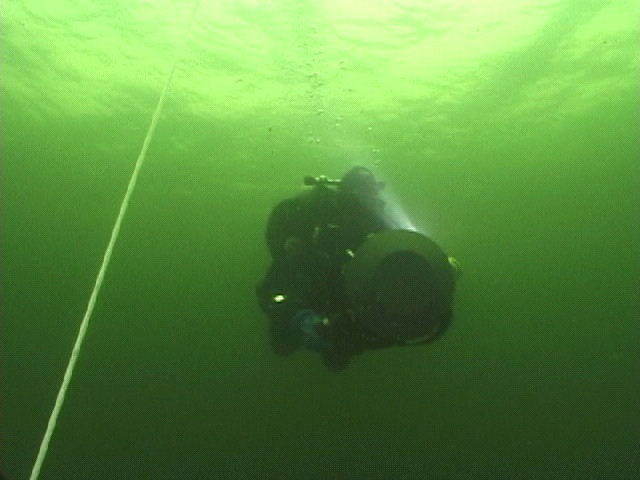 View a short video from this 10/28/01 dive (0.5MB 320x240 MPEG).